THE GALAXY EXPRESS: Sci-Fi Romance: A Space Brothel-Free Zone? Sci-Fi Romance: A Space Brothel-Free Zone? 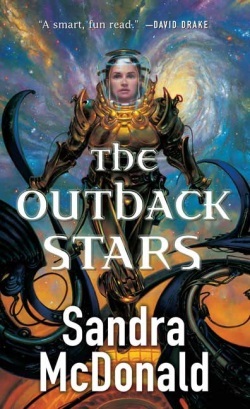 Author Malinda Lo posed an interesting question on her blog: On Space Opera: Why so many brothels in space? Reading Leviathan Wakes, though, also reminded me why I don’t read that much space opera. It’s not that I haven’t tried — it’s that so much space opera is written from a distinctly male perspective that can be off-putting to me. The main characters are men; they talk about women as if women can’t hear them; and what few female characters there are typically exist as sexual objects for the main male characters. Let me be clear: Leviathan Wakes wasn’t bad in this arena; I’ve read plenty worse. But I did find it amusing that there were so many brothels in the solar system of Leviathan Wakes. As brothel after brothel was casually mentioned, I started to wonder: Why the hell are there so many brothels in the future world of Leviathan Wakes? Really, why? This wasn't the first time I've come across the issue of brothels in a space opera SF novel. After reading Ms. 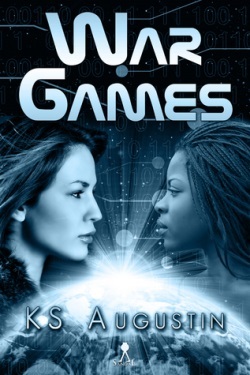 Lo's post I couldn't help but reflect on my science fiction romance reading, which covers a range of SF-romance hybrids. I tried to remember the last time I read a story that referenced a brothel(s) in a major way. My mind came up absolutely blank (but I also need to account for imperfect memory. :P). In my reading experience, it's pretty much the default that SFR stories won't feature strong/overt/repetitive references to brothels in the same way as a book like LEVIATHAN WAKES (and to qualify, having not read the book, I'm going to trust Ms. Lo's judgement). I love that about science fiction romance! The books in this subgenre aren't for everyone, but I sure don't have to worry about the brothel issue to the extent I would with non-romantic SF. Is that because most SFRs are authored by women? Or because the stories focus strongly on the positive aspects of love and romance? Maybe it's because of the female empowerment themes this subgenre embraces. Many of the sci-fi romances I've read (particularly those with a prominent romance plot) are told using a female or neutral gaze. Could that factor be playing a role? Ms. Lo's article also made me wonder about the presumption that all male readers will be titillated by the idea of brothels in space. I bet many SF authors could lose the brothel references without sacrificing anything else about the story (unless, of course, a space brothel is integral to the plot). In light of her article, I came up with a super short list of sci-fi romance space opera books that don't feature prominent brothel references and that might interest readers who gravitate toward stories like LEVIATHAN WAKES (based on what I know about the story). Now you tell me: What's been your "brothel" experience during your SF/SFR reading adventures?